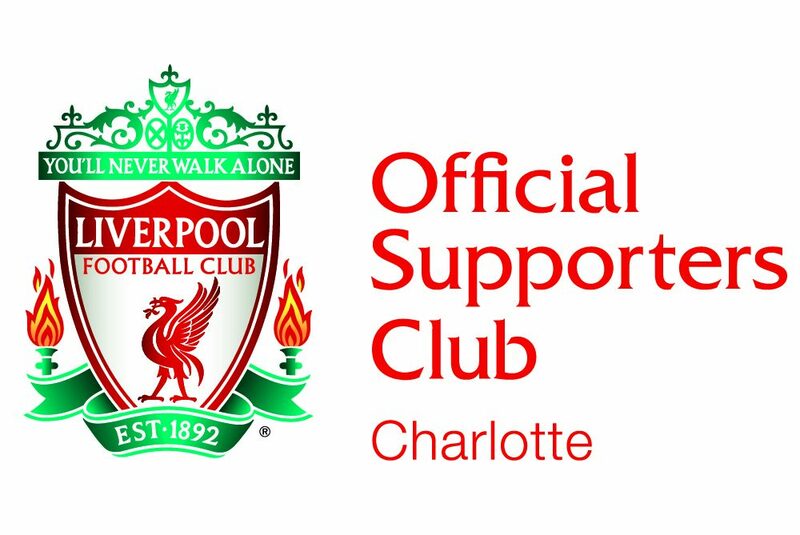 The name of this club shall be LFC CHARLOTTE REDS. It shall also be known as OLSC CHARLOTTE, LFCCLT and CHARLOTTE REDS. The territorial limits of this club shall be that territory designated as the Greater Charlotte Metropolitan and its surrounding areas. a) Organize the local supporters of Liverpool Football Club in the Charlotte Mecklenburg metropolitan area. c) Engage in any lawful civic or nonprofit activities that further the express purpose of the club. No part of the net earnings of any Club shall inure to the benefit of, or be distributable to, its directors, officers, members, or other private persons, except that each Club shall be authorized and empowered to pay reasonable compensation for services rendered and to make payments and distributions in furtherance of its exempt purposes. Except as otherwise provided by Section 501(h) of the IRS Code, no substantial part of the activities of LFCCLT shall consist of carrying on propaganda, or otherwise attempting, to influence legislation. No LFCCLT member acting on behalf of LFCCLT shall participate in, or intervene in (including the publishing or distributing of statements), any political campaign on behalf of (or in opposition to) any candidate for public office. Notwithstanding any other provision of these articles, no member acting on behalf of LFCCLT shall carry on any activities not permitted to be carried on (a) by an organization exempt from federal income tax under Section 501(a) of the Code as an organization described in Section 501(c)(3) of the Code, or (b) by an organization contributions to which are deductible under Section 170(a) of the Code as being to an organization referred to in Section 170(c)(2) of the Code. All members of LFC CHARLOTTE REDS (LFCCLT) will all be of equal status except in certain situations described herein. a. All members whose participation meets the requirements set forth in these bylaws, may speak, make motions and vote on all matters except in certain situations described herein. b. Only Official Liverpool FC members in good standing may be elected to or retain office. Any Official Liverpool FC member in good standing may serve as a delegate to federation convention, region conference, or district meeting. b. Paying the yearly membership dues as stated on the membership page. a. If the member does not pay for renewal of their membership, their membership shall be immediately terminated on their membership anniversary date. b. If a member is found to engage in any activities as representatives of LFCCLT that may in any way have a negative impact on the group, membership will come under review by the Executive Committeeand may be subject to immediate termination. Pursuant to LFC guidelines, the officers of LFCCLT will be known as Chairperson, Vice- Chair, Secretary, and Treasurer. The officers of LFCCLT shall collectively be known as the Executive Committee. a. Must be a member in good standing of LFCCLT for a minimum of 12 months, beginning on the day that their application is accepted. b. Must be an Official Liverpool FC Member and must be able to provide their membership number and proof of membership. c. Must be elected by the members during LFCCLT election period. d. Must be a paid member whose dues have been paid yearly with less than one month lapse. Elected officers shall hold office for 1 year(s) beginning the 1 July, or until their successors are elected. Officers shall perform the duties provided in these bylaws and such other duties as prescribed for the offices in the adopted parliamentary authority. Anybody wishing to hold an elected position must state their intent to do so and must be endorsed by one other member of LFCCLT. Elections will be held via secret ballot on the final day of the season and its results will be tabulated and announced by the current Executive Committee. Unless otherwise ordered by the club, regular meetings will be held on the first weekend of the month on Liverpool FC’s match day at Courtyard Hooligans, unless otherwise noted. LFCCLT shall hold a minimum of one meeting each other month except during regularly scheduled vacation periods of the club. The time the meeting is to be called will depend upon Liverpool FC’s match that weekend. Executive committee meeting will be determined by the Executive Committee to be held at a date and time that that is acceptable to at least three of the four members. Special meetings may be called by the Chairperson and shall be called upon the written request of at least 3 active members of the club. At least 96 hours notice (personal, written, or telephoned) shall be given each member. The business to be transacted at any special meeting shall be limited to the reason for said meeting. There will be one final meeting after the end of the season that shall be considered as the annual meeting for the purpose of receiving reports of officers, board of directors, and committees and for any other business that may arise. It is at this meeting that the results of the elections will be announced and any open business will be concluded. For meetings of the Executive Committee, a minimum of three Committee members must be present to make a quorum. All other meetings require a minimum of five members to make a quorum. Committees shall be formed on an as needed basis for the expressed purpose of that committee. All committees that are created must be done so with the approval of the Chairperson. The committee shall perform the duties set forth by the Chairperson or an appropriate Executive Committee member. The formed committee will comply with these bylaws set forth in this document and such other duties as directed by the Chairperson, or as prescribed by the Executive Committee. The fiscal year shall be (July 1st) through (June 30th). Annual Dues and fees will be determined on a year to year basis based upon the needs of LFCCLT for the upcoming year. Initial fees must be paid by the applicant before they may be considered a member. Renewal fees will be assessed on the anniversary of the member’s acceptance to LFCCLT. The rules contained in the current edition The Official Liverpool FC Suppporters Club Policy shall be the parliamentary authority for all matters not specifically covered in these bylaws and standing rules. Amendments to these bylaws are subject to a vote by all Official Liverpool FC members with a simple majority required to effect such changes. Any proposed amendments must be discussed in an open special meeting called in accordance to Article VI, Section 3 of these bylaws. Upon the dissolution of LFCCLT, its governing body shall, after paying or making provisions for the payment of all of the liabilities of LFCCLT, dispose of all the assets of LFCCLT exclusively for the exempt purposes of LFCCLT in such manner, or to such organization or organizations organized and operated exclusively for charitable, scientific, literary, or educational purposes which at the time qualify as exempt organization or organizations under Section 501(c)(3) of the Code, as LFCCLT Executive Committee shall determine. Any assets not so distributed shall be distributed by a court of competent jurisdiction of the county in which the Club’s principal office is then located exclusively for the Club’s exempt purposes. The use of any surplus funds for private inurement to any person in the event of a sale of the assets or dissolution of the corporation is expressly prohibited.